For more details on JSON Path, go to http://code.google.com/p/jsonpath/. Specify the list of attributes for the API Gateway to retrieve using appropriate JSON Path expressions. 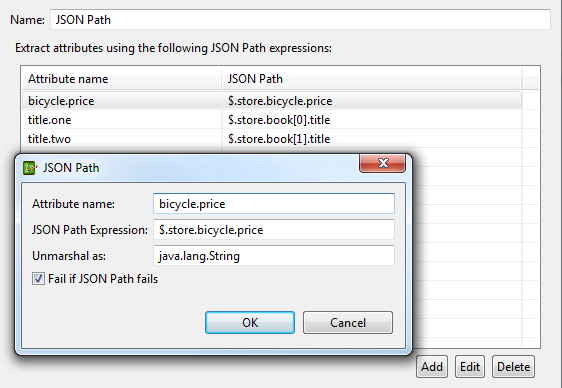 Enter the message attribute name that you wish to extract using JSON Path (for example, bicycle.price). 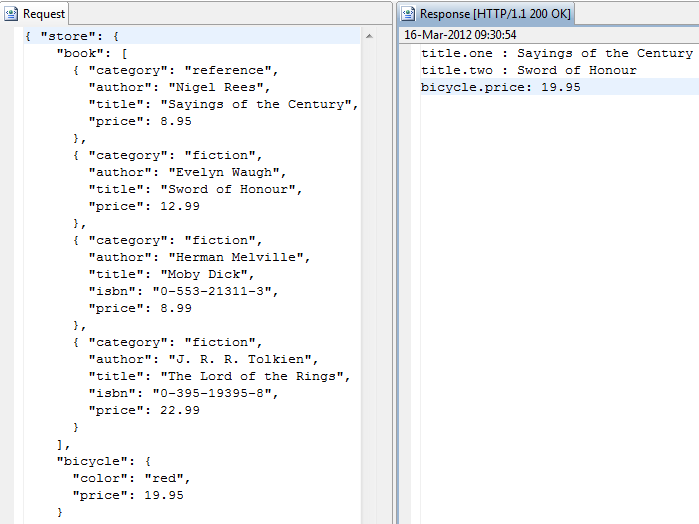 Enter the JSON Path expression that you wish to use to extract the message attribute (for example, $.store.bicycle.price). Policy Studio prompts if you enter an unsupported JSON Path expression. java.lang.String: Enter this value when using this filter to extract a single value and store it in an API Gateway attribute on the message whiteboard. com.fasterxml.jackson.databind.JsonNode: Enter this value when using this filter to store the content in a message attribute and then place it in a JSON message using a JSON Add Node filter. 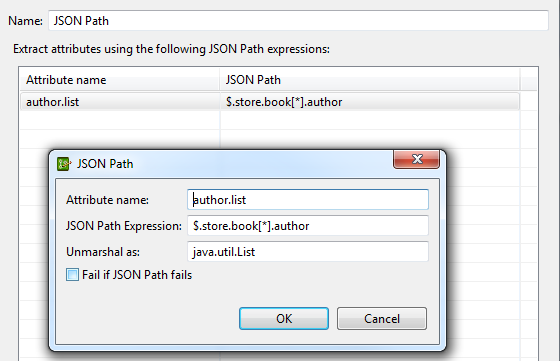 Select whether the filter should fail if the specified JSON Path expression fails. This option is not selected by default. Note If no attributes are specified, the API Gateway retrieves all the attributes in the message and sets them to the attribute.lookup.list attribute. The following are some examples of using the Retrieve Attributes with JSON Path filter to retrieve data from a JSON message. The Retrieve Attributes with JSON Path filter aborts with a CircuitAbortException if the content body of the payload is not in valid JSON format.